How worthy Israeli Relations for Turkey? countries relationship required delicate policies due to their domestic and international sensitivities. developments are influential in shaping consistency of bilateral relations and regional peace. Key words: Turkey, Israel, Palestine, Turkish-Israeli relations, Turkish economy, foreign relations. ISNAD Erdemir, Halil . "How worthy Israeli Relations for Turkey?". 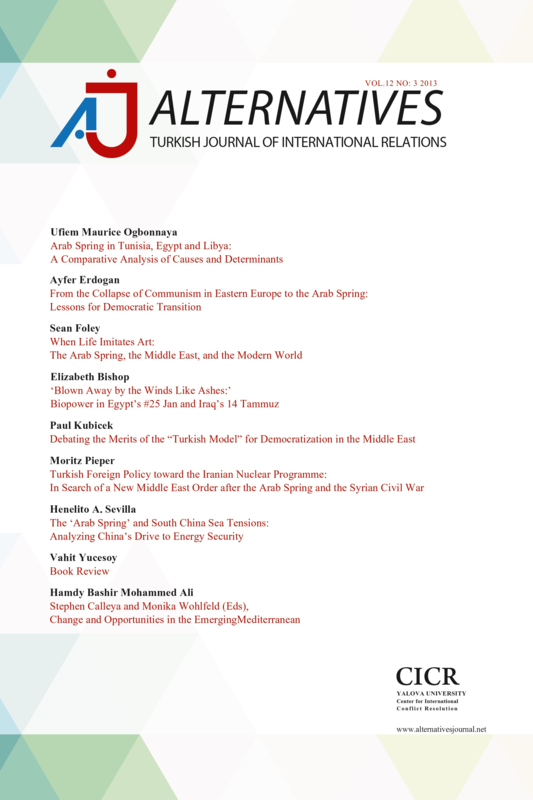 Alternatives: Turkish Journal of International Relations 9 / 2 (June 2010): 24-38.